A late middle-aged woman with liver cirrhosis (MELD score 18) from non-alcoholic steatohepatitis presented with fever for 2 days. She was hypotensive at the emergency department, but became normotensive after fluid resuscitation. A CT of the abdomen and pelvis showed left hydronephrosis secondary to a small ureteric stone, with inflammatory changes seen around the kidney. Broad-spectrum antibiotics were prescribed, and urgent retrograde ureteric stenting was performed the next day. A few hours after the procedure, a popular-pustular rash appeared, predominantly over the abdomen but also sparsely on her thighs and arm. On the third day of admission, her initial blood cultures as well the second set of urine cultures (obtained after ureteric stent insertion) grew Candida albicans. She remained febrile but was hemodynamically stable, with no further extension of the rash. 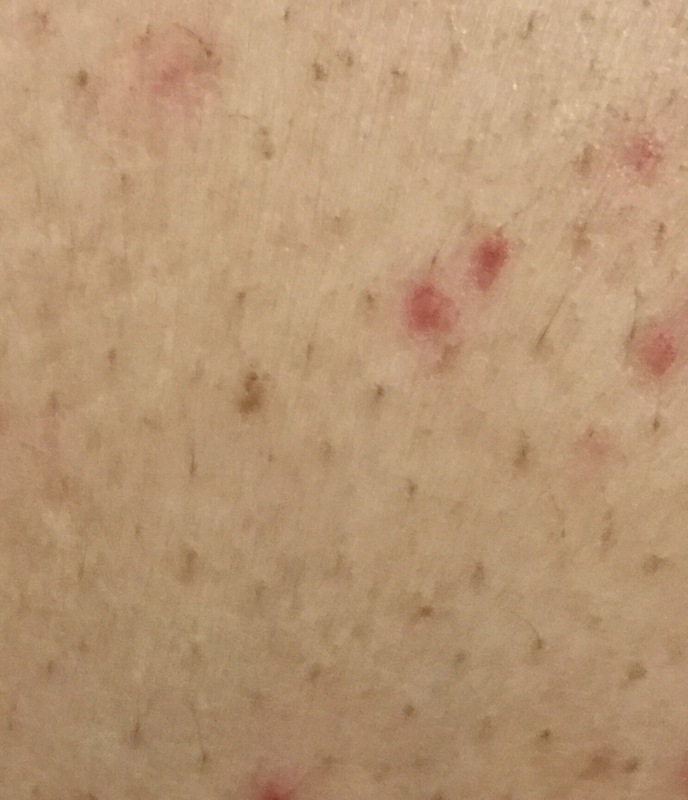 What is the likely aetiology of the rash? Given the timeline, there are several possible causes for the rash, including septic spots from candidemia and an allergic rash secondary to either antibiotics or contrast. In this case however, the rash was due to the candidemia – this has generally to be proven by a skin biopsy, as there are no definite features that distinguish Candida septic spots from other aetiologies. Guidelines for the management of invasive candidiasis were updated by the Infectious Diseases Society of America last year. The recommendation is to treat upfront with an echinocandin (i.e. caspofungin, anidulafungin or micafungin), followed by stepping down to fluconazole subsequently if the isolate is susceptible to fluconazole and the patient stabilised clinically, with an eye review for ocular candidiasis to be performed within a week of diagnosis of candidemia. One issue with the echinocandins is that they do not penetrate well into the eye, central nervous system or urinary tract. In the case of urinary tract infections with consequent candidemia, treatment with an echinocandin may not eradicate the source of the infection. Eye involvement is relatively uncommon in candidemia. The incidence of chorioretinitis ranged from 2% to 9% in various studies, whereas endophthalmitis occurred in 1% of cases. In the largest observational study published to date, involving European and U.S. centres, 16.2% (10.8% if stricter criteria were applied) of 370 patients with candidemia were found to have eye changes consistent with ocular candidiasis. It is important to note that the majority of the patients were asymptomatic with respect to ocular symptoms, consistent with earlier studies. 11 of 60 patients did not have ocular involvement when their candidemia was diagnosed, supporting the recommendation that fundoscopy should be performed at least 1 week after the start of candidemia in patients with no ocular symptoms.